But as I look out at the horses living peacefully here at the Sanctuary, it’s clear that, like us, these are distinct individuals, who in turn make up family bands and herds. Their family groups are as sacred to them as ours are to us, and this terrible loss is the invisible suffering of the horse families rounded up from their rightful ranges and splintered-forever. Sarge was part of a herd living in Nevada, a state with more wild horses than all the other states combined. He was a band stallion who fought loyally to keep his family together, year after year. For his last 4 years on the range, he had forged a deep bond with his lead mare. This bay mare fiercely helped Sarge fight off other band stallions! Advocate Laura Leigh had been photographing the Fish Creek herd and watched this devoted and fearless mare help Sarge chase off intruding stallions. Sarge, easy to spot in the wide-open valley as you pull into Fish Creek, became a pawn in the long conflict between special interests and advocates who love the horses. As a young colt, he was removed from the range without permission, and dumped back on the range, alone, two years later. Then, this past February, Sarge’s lead mare with their colt by her side, was captured- never to be returned to the range. A few months later, Sarge was also taken from his home range and, at 15 years old, taken to a BLM holding facility for adoption. 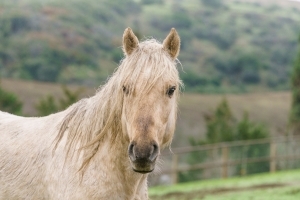 In April 2015, Sarge and sixty other horses wandered past their boundry. Unfortunately, instead of leaving the horses alone so they would have to return to their waterhole on their designated range area, a rancher obstructed their return by bringing water out and created a slander campaign against BLM and advocates accusing BLM of not providing water and advocates for being disingenuous. Sarge sustained injuries from other horses during this time which resulted in his removal from the range. The hype resulted in a contentious bidding war between advocates and ranchers when this 15 year old stallion was posted on the online adoption. Sarge who had lost everything, now became the poster boy in a battle of public opinions about everything from where and how he should live to local state rights versus federal authority on public lands. 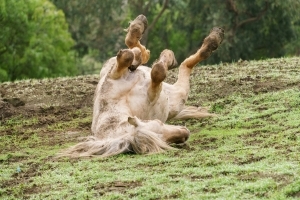 As a “celebrity”, fierce competition for him drove the bidding to a record price, especially for a 15 year-old, clubfooted stallion with broken teeth. Happily, the wild horse advocate, Chris Fairbanks who won the bid was determined to send Sarge to Return to Freedom. With additional support from a compassionate wild horse advocate following the drama unfolding on social media, Sarge was transported comfortably to the Sanctuary! But Sarge’s ordeal was not yet over. Special interests tried to stop his sale, even as the trailer arrived to free him. Why did the Fish Creek horses have to leave their home? With the increasing impact of the drought, the horse population grew too large to maintain a healthy range to sustain both the horses and the privately owned livestock grazing there. Of course, the horses don’t know why humans do what they do. They only know the trauma of the roundup and the loss of everything they cherished in their world. Sarge only knows loss. Sarge, out of quarantine and ready to rock and roll! Sarge finally arrived at Return to Freedom and settled in quickly. Soon, with the help of you and many horse defenders like you, we have been able to track down his lead mare shown here in her holding pen-known to us only as #1489– and next week, we will reunite Sarge with his loyal mare. We have named her “Promise”, because we promised. You can help with a one time donation online or by mail. All donations no matter how large or small, are needed and appreciated! your support makes it possible to provide sanctuary for a lifetime, educational programs, national advocacy and conservation. I wish so much you could be there-but we will document that happy day, and to share it with you down the trail! I can’t say strongly enough just how much a part of Return to Freedom you and our other friends are, and how grateful we are to have you on our team. When we stand there at a roundup, watching with horror and sadness the ear-splitting helicopter overhead chasing horses from their freedom and loved ones, you are at our side, bearing witness with us. Your support inspires us to go the extra mile to track down and reunite some of the fragmented families in holding pens and to push for humane solutions to keep our wild horses and burros on the range. It’s only knowing that we have always been able to count on our supporters that allows the RTF team to forge ahead with confidence that our friends have our backs. Now, more than ever, the horses need us–all of us–to pull together and implement solutions that keep them where they ought to be-happy, healthy and together-running freely under the big sky. We don’t take your help for granted. I do hope that the progress we are making, not only for Sarge and the other RTF residents, but for all the 50,000 nameless horses in government holding facilities and those at risk of losing their freedom and families on the range, inspires you. 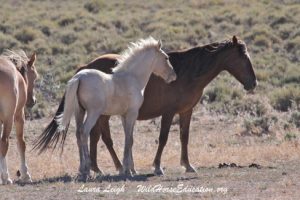 We hope you know that everyone who makes a donation, and /or calls and writes letters to their Representatives, is an important part of the bright new day we work so hard to create for our American wild horses and burros. It’s the only way we can win the battles ahead for all the other horses like Sarge and Promise. Please stand with us. 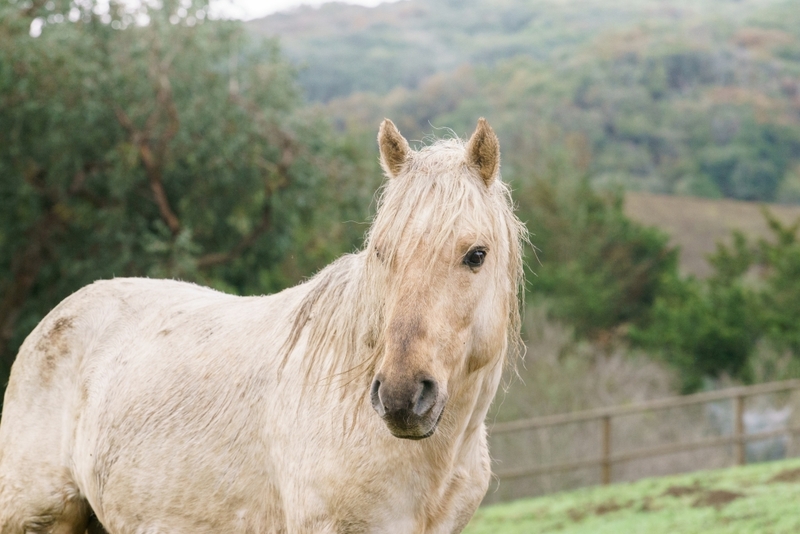 To Help Return to Freedom support horses like Sarge and Promise, please make a contribution today! P.S. 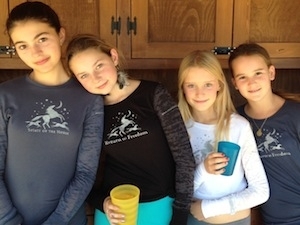 My deepest thanks to all who have sponsored RTF horses and burros! There are still sanctuary residents who need a special someone to speak for them. Please visit original.returntofreedom.org/get-involved/sponsor and original.returntofreedom.org/get-involved/sponsor-a-burro to find a new friend who will appreciate every bite of hay and the rest of the loving care provided by your gift! Visit our store for clothes, books, posters and great gifts, and to help us take care of the nearly 400 horses at our sanctuary! You can shop and help us continue our work on behalf of America’s horses at the sanctuary and to protect them in the wild!